Gourmet gift basket Toronto. 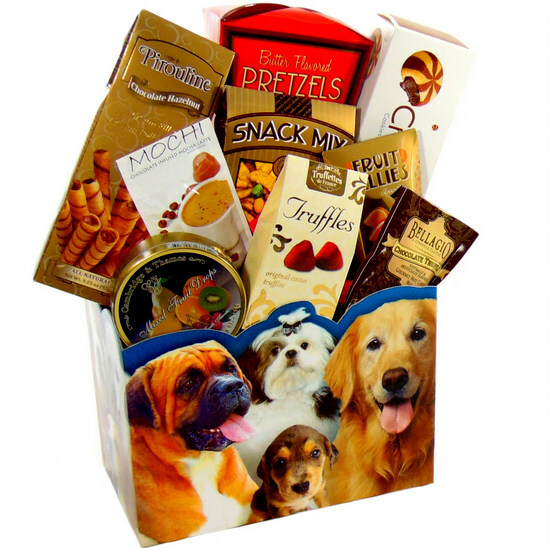 Dogs gift box is a great food gift basket for someone who loves dogs. Dogs faces printed on an open gift box filled with human treats. Gift box filled with Chocolates, Cookies, Snack mix, Soft Jelly Candies, Latte drink mix, Pretzels, Hot Chocolate, French Chocolate Truffles. 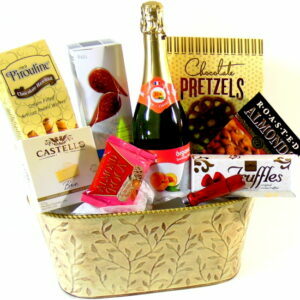 Gourmet gift basket Toronto Free hand delivery. This Dog gift box is a great gift for all your special occasions. Mother’s Day,Father’s Day, Valentines Day, Happy Birthday, Thank You, Happy Anniversary, Congratulations, New Home, Happy Thanksgiving, get well soon, Sorry, Love you and New job, Graduation, Teachers Gift. Merry Christmas.